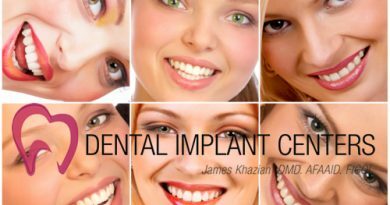 We at Dental Implant Centers understand that the decision to choose dental implants to replace failed or missing teeth may be complex at times. It may be tempting to try other quick fix approaches such as dentures or bridges. Our website is primarily designed to educate the public about modern dental treatments available to enhance one’s quality of life. We believe dental implants should be seriously considered as the first option to replace failed or missing teeth. Dentists should discuss the benefits of implants with their patients and inform them about the consequences of not having dental implants. It is the dentist’s responsibility to explain these consequences to patients before extracting teeth. The best time to plan and do implant placement is at the time of extraction and not after. The amount of bone loss in the early months after extraction will make implant placement much more complicated. It is strongly recommended to plan tooth extractions very carefully, and seriously consider the resulting bone loss from tooth extraction and dire esthetic, functional, and psychological consequences. The following are some of the more important (not all) consequences of not using dental implants to replace failed or missing teeth. One of the most serious consequences of not having dental implants, following tooth loss, is facial collapse and premature aging due to bone loss. It is important to know that facial bones provide support to overlying cheek, nose, lips, and skin. Atrophy of these bones directly affects those overlying structures and result in facial collapse and premature aging. Dental implants, like natural teeth prevent this bone loss. This is because they are anchored in the jaw bone, and transmit chewing forces to surrounding bone. These forces stimulate ‘bone remodeling’, a natural biological process in which old bone cells are continually destroyed and replaced with new cells. This maintains volume, density, and shape of facial bones. Facial bones undergo atrophy if not adequately stimulated (exercised). This is very similar to muscle atrophy due to lack of exercise. Dentures and bridges do not anchor to jaw bone, and fail to stimulate ‘bone remodeling’. Consequently, replacing failed or missing teeth with dentures or bridges usually results in severe facial bone loss. Not having dental implants to replace failed or missing teeth may result in speech disturbances. This happens when several or all teeth are failing or missing, and dentures are used instead of dental implants. Dentures are bulky and cover large surfaces in the mouth, including the palate. This limits tongue movement, resulting in impaired phonetics and speech. If failing or missing teeth are not properly replaced with dental implants, the remaining teeth in the mouth become weak and more prone to decay, fractures, and infections. This is especially true when bridges or dentures are used. Bridges are anchored to adjacent teeth (by cutting those teeth to almost half their size), overloading and weakening them. Anchor teeth usually decay, get infected, or break, causing more tooth loss. Dentures are also anchored to remaining teeth by wires (clasps), weakening, loosening them. Not having dental implants to replace failed or missing teeth may lead to periodontal (gum) disease. Bridges connect 3 or more teeth together, making flossing difficult or impossible. This will compromise oral hygiene and result in gum disease. Researches have concluded that people who have dentures or bridges are more prone to periodontal disease. The psychological effects of tooth and bone loss are complex and varied, and range from minimal to a state of neuroticism. Most denture wearers feel their social life is significantly affected. They are concerned about kissing and romantic situations, especially if the partner is unaware of their oral handicap. Surveys indicate that not all patients are able to use their dentures. Some individuals are even reluctant to use their dentures for social occasions. Individuals with severe bone loss are not able to use their dentures at all. They rarely leave their home environment and when they feel forced to venture out, the thought of meeting and talking to people when not wearing their teeth is unsettling. All this may be prevented or corrected with dental implants. Not using dental implants may result in compromised systemic health. This is directly related to ones ability to eat. The difference in chewing forces in a person with natural or implant teeth and one who wears dentures is dramatic. In the molar region of a person with natural or implant teeth, the average force has been measured at 150-250 psi. The maximum force in a denture patient is reduced to 5-50 psi. As a result of this decreased force and instability of dentures, chewing efficiency is severely compromised. Lower intake of fruits, vegetables, and vitamin A in these individuals leads to digestive and other systemic disorders. As a result, these individuals take more drugs/supplements compared to those with natural or implant teeth and better chewing ability. Also, the reduced consumption of high fiber foods could induce digestive problems in denture wearing individuals with deficient chewing performance. Credible research and reports provide proof suggesting that a compromised dental function causes poor chewing and swallowing ability and digestive disorders, which in turn may favor systemic changes favoring illness, debilitation, and shortened life expectancy. Several reports correlate individuals’ health and life spans to their dental health. These reports point to significant relationship between dental disease and cardiovascular disease, the latter being a major cause of death today. It is therefore easy to believe that restoring the dental function of these individuals to a more normal function may indeed enhance the quality of lives and longevity. Not having dental implants may compromise an individual’s taste sensation. Dentures usually cover large surfaces of the mouth and block sensation of taste. As a result, individuals using dentures do not enjoy their food as much as people with natural or implant teeth.